Light color is infinitely variable from warm white to daylight. 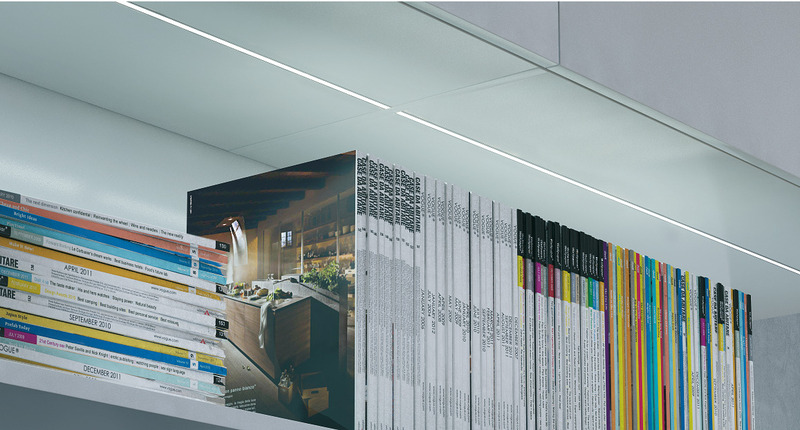 Provides uniform illumination of cabinets, recesses and work surfaces. 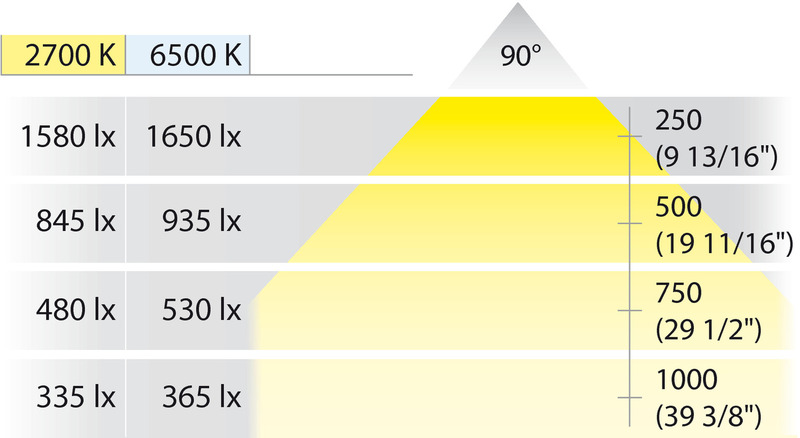 Light and profile can be cut-to-size every 25mm (1”), after every 6 LEDs. 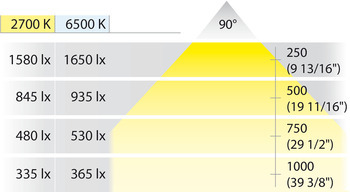 Use included adapter cable to switch color temperature from warm to daylight.